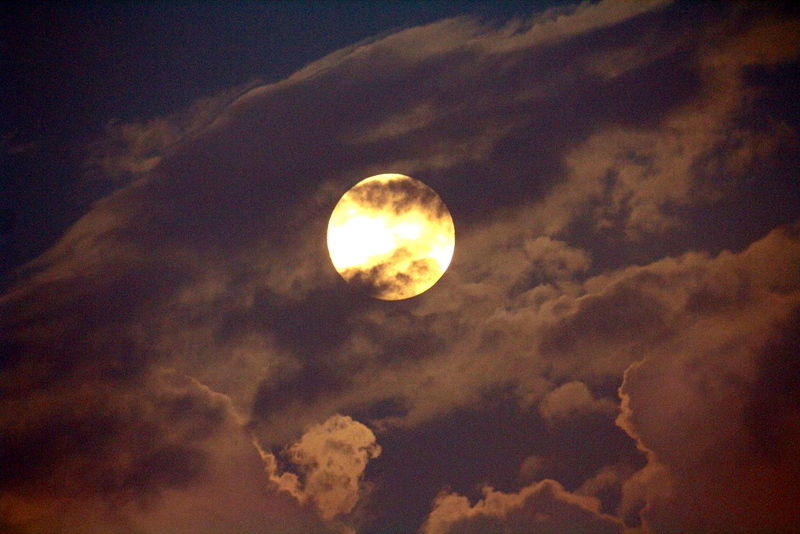 Moon & Clouds - The full moon shines behind clouds in this picture. The light that we see from the Moon is in fact reflected sunlight. During the full phase, the Moon lies opposite the Sun with respect to Earth, and so we see the full illuminated face of the Moon.